Ran up hobble creek canyon again. Still getting used to the altitude but the positive side is that my IT band felt fine. Dang that was a run. This time since I was going farther I actually ran a good ways up hobble creek canyon. I went pretty hard from the start but didn't have it mapped out. I turned around as if I had been going at 6:30 pace, but the only mile I measured was a 6:15 which was probably the steepest mile I ran all day. So it was a great run until at about mile 14 the wheels kind of fell off a bit since I'm not used to having to run uphill at the end of a long run, especially a 17 miler. Well, there could be ways to gain more confidence the day before the first practice. But I doubt the Israelites were feeling very confident when their army was reduced to 300 prior to fighting a huge army. Today I ran 10 miles and it wrecked me. Nevertheless I had some nice tender mercies along the way. It was boiling hot on my first real afternoon run since coming home and I think the biggest thing was that I had eaten pretty recently. At first I started feeling more and more sluggish before I got downright sick. I stopped twice to kneel down and relax in the shade a bit. One of the times a guy stopped and offered me water and a ride. I accepted the first. Later on I was able to stop again and throw up, which finally liberated me from having to do a mega slow jog. What I learned: HYDRATE more than I have been, especially in this dry climate, and don't eat after 12:00 tomorrow! Well, it's been a good bit of training since I got home- 1058 miles to be as accurate as possible. I can't wait to see how I do! Apparently we needed to have gotten a physical within the last 30 days in order to run with the team. So it wasn't gonna happen today. It was just me and another kid named Denver who has a brother named Cade Perry on the team who Isaac deemed worthy of trying out. Kind of reminds me of 2014 with Tanner and I. But I had gone with my plan and hadn't eaten since 12 so thankfully Denver decided to come do mile repeats with me. We went to the intramural field and ran 5 of them with 3:30 rest in supposedly about 5:10 average but I felt like I was running circles around him (not cuz he's slow, but because he had the GPS and I had no idea where to turn and stuff. The only time it was easy was when I was behind him but I was almost always on his shoulder, side by side, or in front). Felt really good to be running with the guys again. You can run 10 miles and yet feel so relaxed (TBH it was barely under 7 minute pace and on flat, but still- it felt easy). And tomorrow we go to hobble creek! Andiamo!!! What part of my body did not hurt today? My eyelids? My fingernails? Haha. We ran up hobble creek canyon. I was over ambitious and went out too hard. And I paid for it. It was super hard, I felt awful at the end. 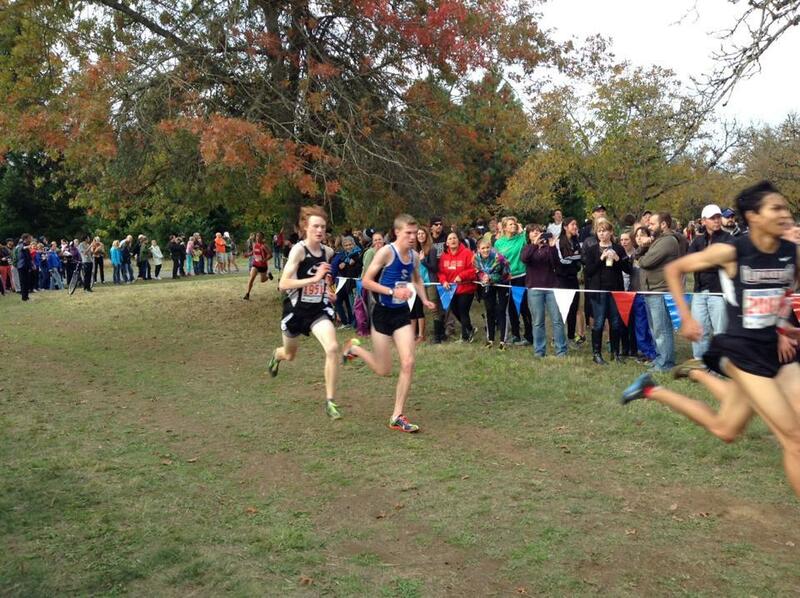 The good news I suppose is that I ran 48:57, which is a PR even though its early season. Hopefully I can run smarter next time and maybe even break 47. Today was also my first day of weights. It felt good to be back. Felt a little better today. We ran pretty slow to recover from our tough effort yesterday. I still have a stomach ache but hopefully by tomorrow I'll be ready for a strong effort again. I also did 5 miles in the morning. 15 miles on a rocky trail in Spanish fork. My legs felt a little beat up. Thankfully tomorrow is a day of rest before we workout Monday! Great workout today. It was hot outside but I didn't really feel it. I also didn't feel tired from the previous week. We went to the legendary intramural fields and did a 5K mostly alternating every 400 meters between "hard" and "recovery", which was still pretty fast- it was supposed to be in the 5 minute range, but 10 seconds per lap slower than the fast 400. I really liked the workout this time. I ran 16:25 for the 5K. Then we took a ten minute break and ran a 2 mile in similar fashion. I hit 10:22 for that one. We did a 4-3-2-1 fartlek with 3-2-1 rest at Kiwanis park. Feels weird that this isn't my strength right now. I won't lie, the thought has run through my head: "Am I really a miler?" Then again, how many times since my mission have I run anything speed oriented? Not many. Oh well, time will tell. In my opinion it was just the right effort for three days before a race. 9 miles, three strides. IT band felt a little. Hopefully I can rest it up. Someone once said in a flo track video something along the lines of: "the problem with setting high goals is that you get knocked down a lot". Honestly I shouldn't complain, I'm in pretty good shape for being just a few months off my mission running XC which I'm less good at than track. But, being me, I was kind of bummed haha. Oh well, back to the grind, hopefully I'll continue to watch my fitness improve during cross and get to the point where I can get some big PRs in track. Nice run along a trail that went through the foothills near the Y. I liked it. Then a couple strides. Good workout today, I beat my 2 mile PR (converted from 3000) on all three reps of our 3 by 2 miles w/ just under 5 min rest. I ran 9:49, 9:54, and 9:54. I felt great during the whole thing until the last rep when I got a ton of these sharp sticky things in my flats that hurt and immediately gave me blisters. In fact, I may have felt a little too good. I was in the chase group which was separated so I never felt as pushed as I would have with other guys there. To me that's part of the BYU walk on magic. You train all summer thinking you are working hard and then when you get there and are running faster than ever but are in last place it forces you to really push yourself. But overall today was good. Today wasn't my best workout, but I'm happy because aerobically I felt fine, I just felt Tuesday's workout in my legs (and in my feet) still. Come next week, I hope to be better prepared. Today we ran the Michigan: 1600 on the track, 90 seconds rest, 1 mile grass loop, 90 seconds rest, 1200 on the track, 90 seconds rest, mile grass loop, 90 seconds rest, 800 on the track, 90 seconds rest, mile grass loop, 90, 400, 90, mile. My splits were: 4:47, 5:17, 3:43, 5:19, 2:26, 5:17, 66, 5:07. Note: the grass loop miles may have been a tad short since we were cutting the corners a bit and since I was so far back I wasn't only getting like 80 seconds of rest. 5 miles in the morning. 10 miles, three strides. Felt good. Blisters gone! Beautiful run today on a hilly trail in the mountains. 6:13 pace for 16 miles. It's been quite a week, I'm happy to have a day off before getting at it again next week! I just had the thought today about how grateful I am to be able to run. What if I didn't have that break in my day from the classes and schoolwork and stress? Running to me is like sleeping to other people. The only reason I got through two years without it is because I was doing the only thing that is even more important. At BYU we talk a lot about finding our purpose after our missions and stuff. Running isn't my life purpose necessarily, but it sure gets me out of bed and encourages me! I love it! Today we went to the intramural field for mile repeats with 4:30-5 min rest. I did 4:57 and 4:56 on the first two. On the third one I hit 2:25 at 800 when Michael, the kid I was running with, stopped. Apparently coach had been saying that people behind a certain mark were going to only do 800s. It was so weird stopping in the middle of a rep. I never like not doing what I feel is the whole workout, and so I kind of had a chip on my shoulder as I ran the next 800s in 2:22 and 2:17 w/ 3 min rest. An interesting byproduct of this was that I felt my speed to be coming back a bit though. At some point, I'll need to start training 880 full time and now I'm a bit more confident that I can do it. Afternoon: 9 mioes, strides, weights. I wonder if the reason I felt a tad tired today is because whenever I've done doubles in the past, the second run was always the shorter one. Now that I'm at BYU that has had to change. Idk, I'm sure I'll get used to it. 10-5-3-2-1 fartlek on the intramural field. Didn't feel amazing, nor did it feel super bad. Just a good workout. Today was a really stressful day with school. I took two midterms. Everything was taking longer than I had thought and I ended up not being able to run until 5 or so. Lesson learned again. Do NOT eat right before a run. So far I've only found peanut butter to be acceptable to my body. I feel fine when I'm eating it but then while I'm running, even if it's an easy day, I feel awful. Having said that, it was a beauitful, nice, longer run. I had been considering running in the morning but thought this would be a better choice. Shout out to the varsity team for WRECKING it at the Dellinger invite. First place with 17 points. It's cool to be a part of that. My long run ended up being da solo up Provo Canyon. I've noticed an interesting pattern over the past three weeks. On tuesday I have a great workout. Thursday I still feel it a little and don't run quite as well. Then by saturday I am pretty tired. I know my body pretty well and I felt like if I was rested, I could have run as fast as sub 5:45 pace today. I ended up doing 5:52s. I have the fitness but idk why I get tired throughout the week. The intensity is high but I've done more mileage than this over the summer. Intersting note to pay attention to.